A funny vocabulary ws aimed to practise days of the week. 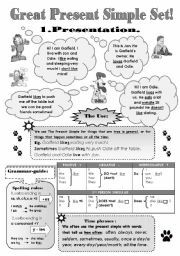 Includes 3 activities: 1.spelling -write the missing letters,2.unscramble days of the week and colour the week flour according to the instructions, 3. read and colour. 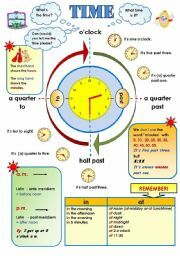 This is a kind of a classroom poster or you can use it as a guide to help your students to remember how to tell the time. I included the B&W version in this sheet. 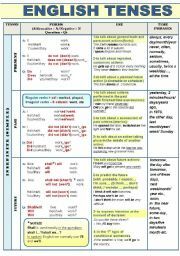 One more grammar-guide. 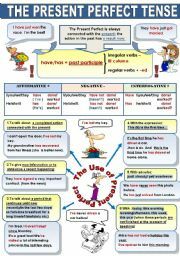 This time it is about the present perfect tense. With B&W version. 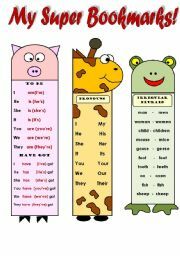 Forms and the use of present perfect. One more classroom poster in addition to my face parts poster for your kids! This is a very funny activity for your kids! 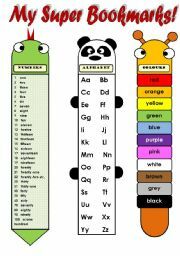 They look at the pictures, read the descriptions of each monster, match the description with the picture and colour these funny creatures! Then they draw their own monster and write a short story about him. 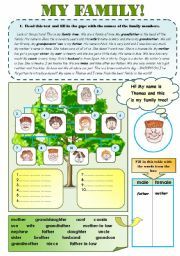 Hope your children will like this activity. 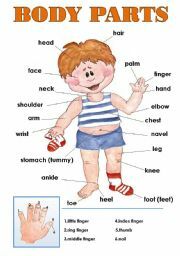 They will revise colours, numbers and body parts!